Israeli Soldier's Mother: Where the hell is Obama? Home Editorials Israeli Soldier’s Mother: Where the hell is Obama? Israeli Soldier’s Mother: Where the hell is Obama? 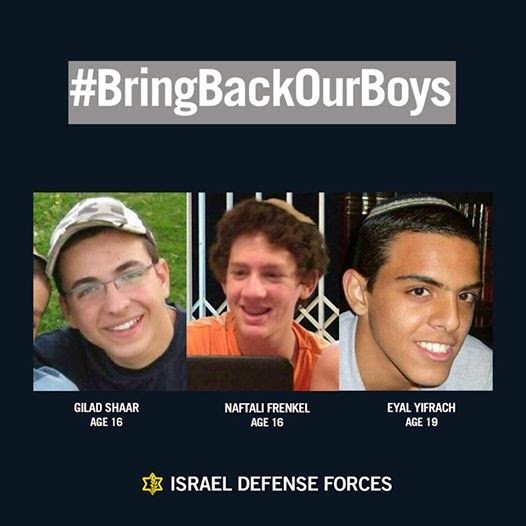 I would like to ask my American relatives and friends who voted for Obama to write to him and tell him that three Israeli children have been kidnapped. Maybe he doesn’t know it yet…since he hasn’t bothered to issue a single word of protest or condemnation. I want you to tell him that one of the boys – no less deserving than the other two – is an American citizen. Tell him the three boys – two of them only 16 years old, for God’s sake, and one of them 19 – were doing nothing but waiting for a ride home. Much more MUST READ here. Obama? Where the hell are you?